Philip Cianci, CSTE wrote an inspiring, informative course for the SBE on the challenges of a contemporary technologist who works in the broadcast or media industry. The online course, titled “Adaptive Media Systems Engineering“, offers techniques to ease the transition from Broadcast Engineer to Media Systems Engineer. Each chapter provides practical suggestions and solutions for the digital era. Subjects include an introduction to media systems engineering, the role of the media systems engineer, the importance of professional societies and standards bodies, project management techniques, the planning process, process improvement, organizational efficiency and more. The SBE offers a course on SBE University on ENG Truck Operations. 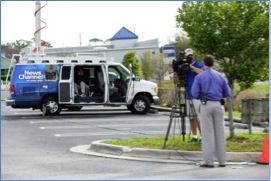 The course, designed for non-technical personnel, covers the basics necessary to produce a safe, good quality field produced shot from both microwave based vehicles and satellite uplink vehicles. 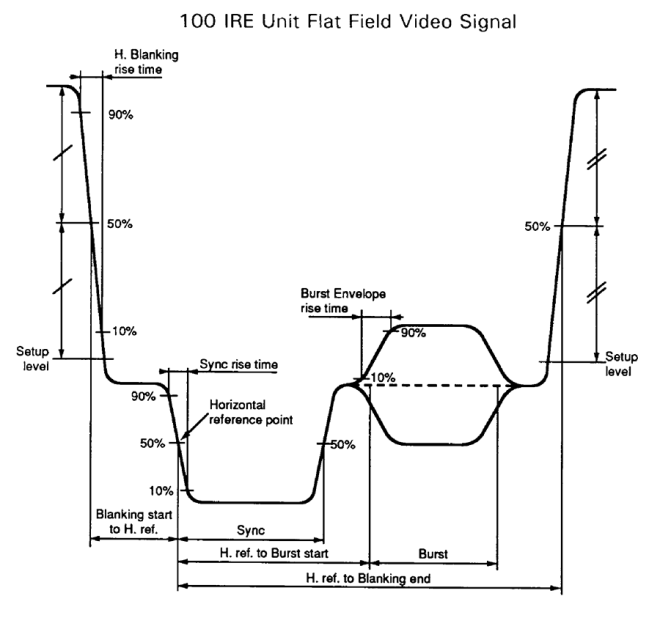 It begins with a concentration on safety, advances to the basics of microwave principles and operation, then on to audio, video, various IFB techniques, lighting basics, use of wireless microphones and some advanced applications. Courses on SBE University are set up like textbooks, divided into 8-14 chapters. There are quiz questions, graphics, a glossary, and a final exam. Once you purchase a course on SBE University, you will always have access to it, including any updates made to the course. The SBE now offers a new course on SBE University, “Use of the Simple Network Management Protocol in Broadcast Monitoring and Control Systems.” This course provides an introduction and overview of the Simple Network Management Protocol (SNMP). “The SNMP SBE University course will give broadcast engineers another set of tools to put in their bag. Using SNMP, everything from monitoring analog and or digital signals, controlling equipment, alarm status, and even to dispatching of repair personnel can be exploited. SNMP can be an effective tool, but it’s only one item in your toolkit, and it can be used more effectively when it is part of your total network monitoring solution,” said SBE President Ralph Hogan. With IP networking becoming an ever-increasing part of a broadcast engineer’s environment, there is an opportunity to utilize this legacy IT protocol for our benefit. 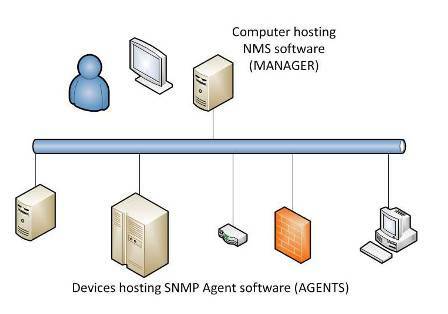 SNMP is a way to monitor data points and control different functions in remote equipment, using an existing IP network. Much of the latest generation broadcast equipment supports this protocol, and facility control devices are appearing on the market that can incorporate data and control functions obtained via SNMP alongside information and controls that use traditional hardwired inputs and outputs. The course describes how SNMP works, including the structure and types of SNMP messages, how they are transported over the network, and how they can be used to monitor and control remote equipment. Students will learn about the data distant equipment might return, and how best to integrate it into an overall facility control plan. Also covered are the types of equipment that support SNMP communications, as well as using the protocol for site-to-site communications. Tony Peterle, CSRE, of WorldCast Systems Inc., is the author of the new course. Peterle performs training, technical support and instillation as the US subsidiary manager at WorldCast Systems. Peterle’s experience includes chief engineer positions in Honolulu, Kansas City, and Wichita. His resume also includes a commercial pilot’s license and several years as a traffic reporter before receiving CSRE certification from the SBE in 2005. This course is being offered to members of the SBE for a special price of $65 through September 1. The cost is $105 for non-members and $85 for members of the SBE after September 1. To enroll, visit the SNMP SBE University course on the SBE website. For more information about SBE University and the SNMP course contact SBE Education Director Kimberly Kissel at kkissel@sbe.org or (317) 846-9000. The newest course on SBE University explains how the Simple Network Management Protocol (SNMP) works, including the structure and types of SNMP messages, how they are transported over the network, and how they can be used to monitor and control remote equipment. Even though SNMP is still rather new to most broadcast engineers, it is an established protocol that has been in wide use across the IT community for decades. Robust and relatively simple to use, it can be a powerful part of a facility control plan at many different kinds of sites, and for broadcasters of any conceivable size. Early adopters of this technology are finding it invaluable for site-to-site communication and control, and the pool of broadcast equipment that supports the SNMP protocol is growing at a brisk pace. Just as standards like HTTP, AES, MP3, and IBOC were once little known or understood in the broadcast community, SNMP is at the threshold of wide-scale adoption and acceptance. Engineers who make the effort to learn about this capability now will reap the benefits in the (near) future. The intelligence of the facility control software is currently the key. Software that can generate SNMP GET and SET commands, integrate those results smoothly with data gathered through traditional I/O channels, and generate alarms or automatically take action, is the software that will drive the next generation of facility control products and solutions for all of us. The course was written for SBE by Tony Peterle, CSRE. Peterle is technical support manager for Worldcast Systems. In the span of his career, he has held chief engineer positions in Honolulu, Kansas City, and Wichita. After attaining his commercial pilot’s license, he spent several years as a traffic reporter in Kansas City, Honolulu and Seattle. In his current position, Tony enjoys helping customers solve problems, traveling, contributing to the design of new products, and participating in NAB and SBE events. Members of the SBE can enjoy a special rate of $65 for the course until September 1. That’s $20 off the already discounted price of $85. The cost for non-members is $105. Visit our website for more information and to register.